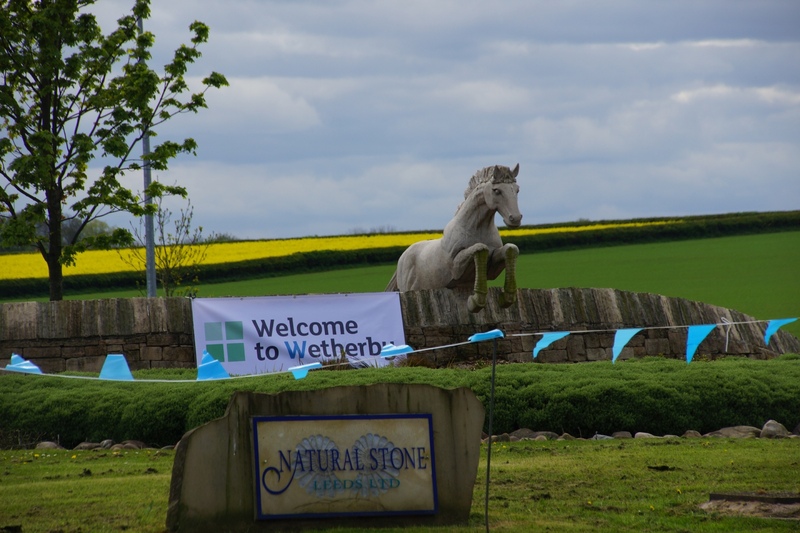 Wetherby in West Yorkshire stands half way between Edinburgh and London and was on the Great North Road. In the past it was an important staging post. In 1837 the Angel Inn, now on the High Street, served two coaches daily. The Knight’s Templar founded a preceptory or small community at Ribston Park in 1217. In 1233 the Archbishop of York allowed indulgences to be sold to raise funds to build a bridge across the Wharf. Soon after, in 1240, King Henry III granted a Charter to the Knights Templar to hold a regular Thursday market, which continues to this day. 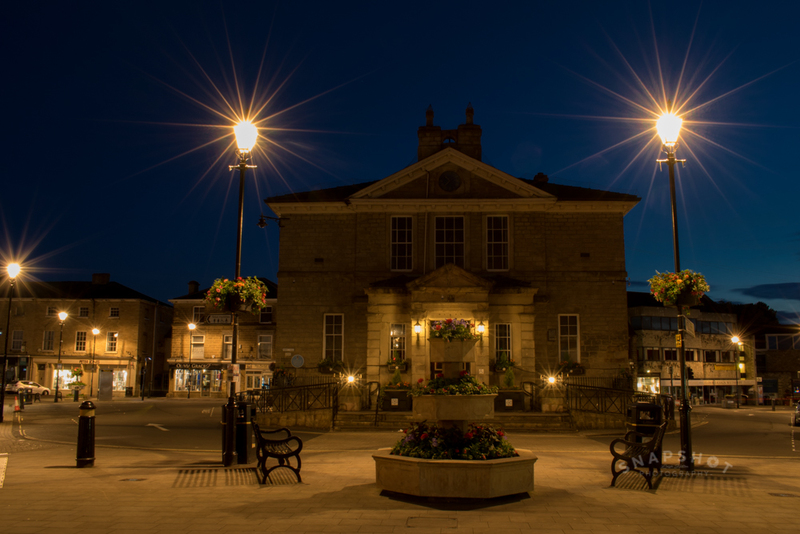 The market is in the Market Place around the Town Hall in the centre of Town. The Parliamentarians stayed in Wetherby for 2 days while joining forces with the Scots. They then moved on to Tadcaster and then on to the Battle of Marston Moor. The first railway connecting Wetherby was the Harrogate to Church Fenton line dating from 1840. In the 1860s the Cross Gates line linked the town to Leeds. These lines closed in the 1960s but the track became the Bramham to Harrogate section of Sustrans National Route 67. The old railway path between Wetherby and Spofforth is known as Harland Way. For more information on the cycle route visit Sustrans. 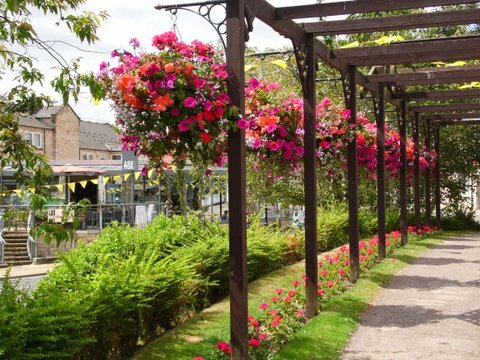 Visitors to the town have the benefit of a Historical Trail which directs visitors around the town centre and explains Wetherby’s past. Trail leaflets are available in shops and in the Library. Throughout the town historic buildings have blue plaques. An unusual visitor attraction is the Georgian Bathhouse at Wharfedale Lawn. Over 200 years old, the bathers thought the cold water plunges relieved a number of complaints. The spring-water-fed pool is 1.5metres deep and measures 2.4 metres by 3.7 metres or 5 feet by 12 feet by 8 feet. The pool has steps to the water and a paved walkway with three alcoves round the sides. After a bath the bathers used to socialise in the warming room. While in the town today’s visitors can enjoy the many interesting small shops selling a wide variety of goods. There are also many tea and coffee shops, and restaurants, and there is a market on Thursdays. There is also a Farmers’ Market in the Market Place on the second Sunday of every month from 9.00 am to 1.00 pm. The Otley Town Partnership – part of the Yorkshire Farmers’ Market Group – runs the Market. Full details and information are available from the Yorkshire Farmers’ Markets website. Wetherby Brew Co is a micro brewery with a tap room and bottle shop. Here you can visit on an experience day and enjoy half a day of tuition, refreshments and a pack of beer to take home. Tourist Information is inside Wetherby Library at 17, Westgate. Previous PostIf you’ve never been to West Yorkshire, why not make a start in Wakefield.